Are you looking for a car but do not want to pay extortionate prices? At NTR Cars, we have a huge selection of second hand cars on offer at exceptional prices. No matter what make or model you are looking for we can help. We have cars available within all budgets. Our team of car dealers are on hand to help with any questions or queries you may have. 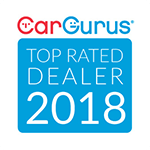 We are available to talk through prices and different models, you will be sure to find the right car with us. If you are looking to sell your car, come to us. We will offer great prices for your used vehicles, for a free quote get in touch with us today. We'll buy your vehicle for a great price. Get a free quote today. We welcome part exchanges against all of our vehicles.